Did you know that more than 20,000 adults 65 years and older are hospitalized for falls each year? The LAFD CRR Unit has teamed up with the Los Angeles Department of Aging on an important initiative to remind everyone that there are simple things we can do to help prevent yourself or your loved ones from falling. 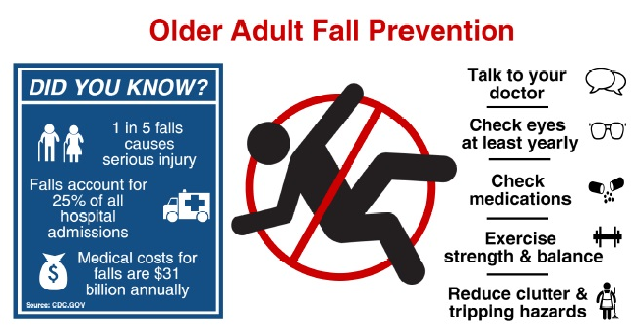 For more information about fall prevention, visit The Fall Prevention Center of Excellence website.